Today I want to teach you the correct way to say these four words, which I often hear students mispronouncing or confusing. A lot of English learners want to know the “rules” of English pronunciation, but unfortunately it’s hard to teach any rules since the pronunciation is so irregular. There are some trends and patterns in English pronunciation, but there are SO many exceptions. In my opinion, it’s better to train your pronunciation by listening and repeating after a native speaker, not by trying to memorize rules. 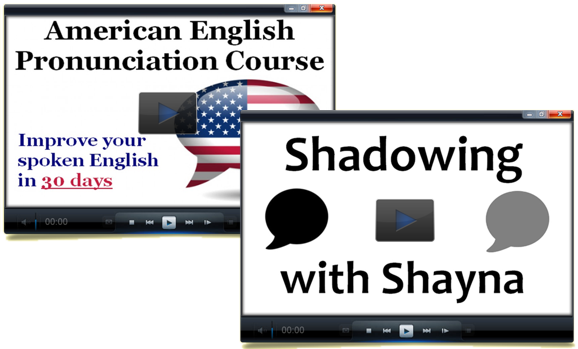 You can get a lot of listen-and-repeat practice inside my courses on Pronunciation and Shadowing. Our first pair of words is recipe and receipt. A recipe is a set of instructions for making food. 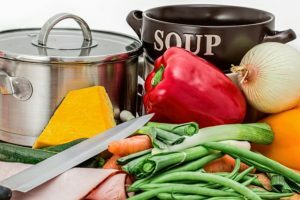 The recipe will tell you what ingredients you need, as well as the specific steps to prepare the food. This word has three syllables and the stress is on the first one: RE-ci-pe. Make sure to pronounce the “pe” at the end. When we have an “e” at the end of a word in English, it’s often silent, as in the words type and escape – but recipe is an exception; we pronounce the final syllable “pe” – recipe. The word receipt is the noun form of the verb receive. 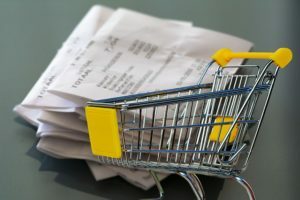 After buying something at a store, you often get a receipt – a little piece of paper showing the price and confirming that you bought the item. This word has two syllables and the stress is on the second one – re-CEIPT. Also, the “p” in receipt is silent. Imagine the p just isn’t there. So a recipe tells you how to make food, and you get a receipt after you buy something. Now let’s look at debt and debit. The word debt refers to money that you borrowed and are now obligated to pay back. If you borrow money from the bank to pay for college, you now have debt (or you can say you are “in debt”) – you have an obligation to pay the money back to the source. This word has one syllable, and the B is silent – debt. Just imagine it’s like D-E-T – debt, rhymes with set and get. The word debit you’ll most commonly encounter when talking about a debit card – a card that takes money directly out of your bank account immediately. (It’s different from a credit card, which allows you to buy now and pay the bill later). Debit has two syllables, and we pronounce the B – DEB-it. A debit card. Now you know how to correctly pronounce the words recipe, receipt, debt, and debit. Again, if you want more training, sign up for my Pronunciation and Shadowing Courses. You can get a discount if you buy both courses together, and they’ll give you a lot of great pronunciation practice.